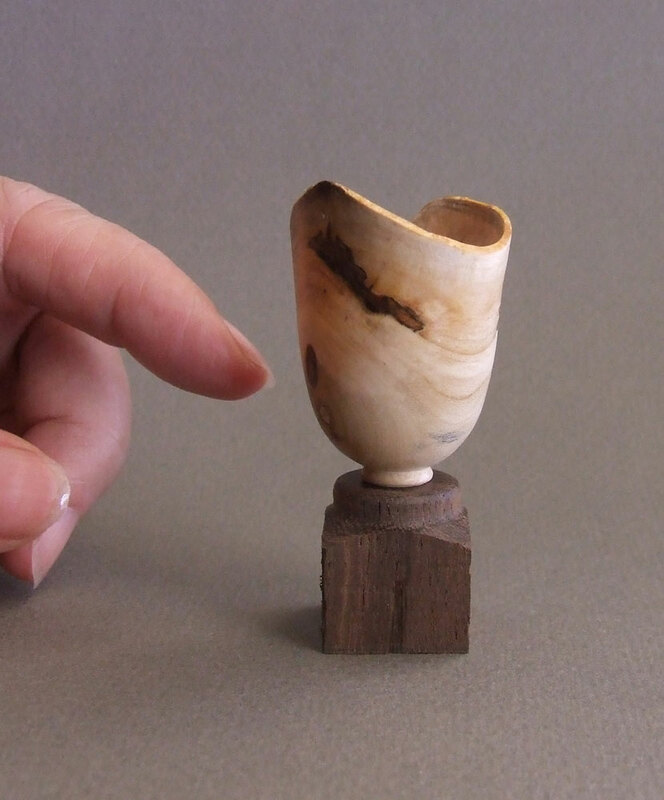 How did you get started in miniatures and micro woodturning? I met Johannes Michelsen at my first Northeastern Woodworkers Association annual showcase in 2001. He was the judge and demonstrator. In that show, I won first place in the miniature category. He also gave me the inspiration for miniature turning. In 2010, I won ‘Best of Show’ along with one first place in ‘Case Furniture,’ one first place in ‘Table’, one second place in ‘Spindle Turning,’ and one first place in ‘Miniature.’ Those first three pieces competed and were judged against full-size work.